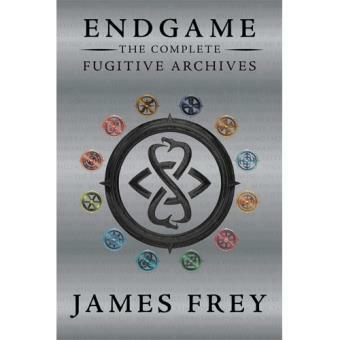 A companion to the New York Times bestselling Endgame series, The Complete Fugitive Archives is a collection of prequel novellas about a forbidden love that threatens Endgame in post-World War II Germany. It's 1948, and World War II has just ended. Berlin is in pieces, torn apart by bullets, bombs, and bloodshed. But a particular scientist has survived--one with vital knowledge of an ancient weapon. When Endgame spies learn of the news, Boone, a Cahokian, and Ariadne, a Minoan, are each sent undercover to find the scientist amid the snowy rubble. But when their paths intertwine, the last thing they expect is to let their guards down and work together. With the line between enemy and ally blurred, the success of their mission--and the fate of the world--may be at stake. And only one of them can win. Originally published as three individual ebook novellas, the Fugitive Archives are now together in one print volume.